Hotel Room, RV or camping | Page 3 | Paranormal Forum: " Where paranormal, science, and spirit meet"
Discussion in 'Owl's Nest' started by Debi, May 17, 2016. We just paid $3,000 for our upcoming cruise in early 2019 (a balcony room). That doesn't even include the passports and other things such as plane tickets. The most beautiful place I've traveled to thus far would be Colorado. My wife's mother was born and raised there. We visited her grandfather (A WWII fighter pilot) a few years before he passed. Lynne and damon like this. I bet that her Grandfather had some good stories about his adventures in WW2. I haven’t went on a cruise. That will be on my bucket list. It really is something to experience, and you can get some really good fares too depending on what your destination is. I never went on a Cruise. Personally I don’t think they’re worth the money. I’d rather ride in a yacht or something. Well ya but if you don’t have a rich friend lol. Seahunter and Lynne like this. They are not for everyone for sure, but they really are a good value for the money. They have really good prices on cruises all the time. And once you're on board, you have to remember, your cabin is paid for, all of your food (and more food! ), your entertainment, etc. You surely can spend more once you're on board, but you don't have to. You can do as much or as little as you please. Then you get to go to different destinations, which you can't always do by land in one trip. They can also be very relaxing, if that's what you want. Like I said, not for everybody, but they are a good deal. And no, I don't work for the cruise industry. Lynne and Charleh like this. I tried camping once and it was awful. It was in a valley so when this storm rolled in, it was like an apocalyptic event taking place. The floor of the tent was soaked, the air mattress I used had an air leak so at some point in the evening it would be completely deflated and I would end up sleeping on the hard ground. Packing up is a real mission and making sure the tents are clean and dry is a hassle. And to top it off I contracted Dengue fever there which had me bed-ridden and painfully immobile for 3 weeks. So not doing that again. When I was still really small, like about 3 or so we use to go camping with a caravan but I can't remember much of it. I wouldn't mind trying it again but it looks like a mission to set up and get everything sorted before you can settle down. So honestly I'll have a hotel room or chalet etc. for my trip. It's just so much easier. Let's hear it...which do you prefer? Want to go out with a tent and camp or do you prefer the amenities of a hotel room with all the conveniences when you travel? 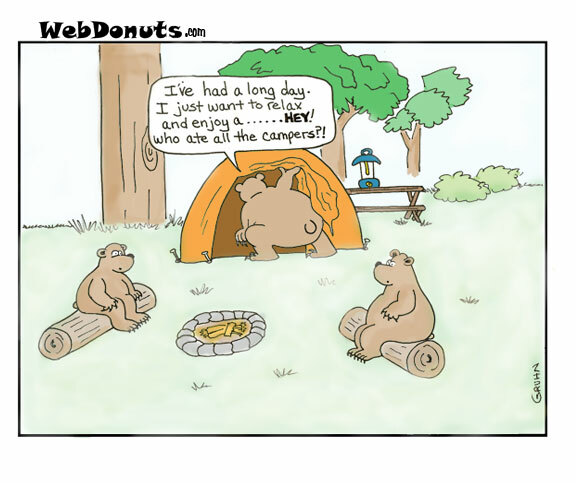 Any one planning a camping trip or travel this summer? Where are you headed? Again it would depend on what I was doing. if I was going to Vegas than Hotel all the way, If I was going to ride atv's & sandrail's in the dunes then RV. As a young kid our family did a lot of camping in the Sequoia and Kings Canyon National Parks.